On December 26 and December 27, the Russian Aerospace Forces and the Syrian Air Force were delivering massive airstrikes on Jabhat Fatah al-Sham (formerly Jabhat al-Nusra, the Syrian branch of al-Qaeda) targets in the Idlib-Aleppo countryside, according to local sources. The activity of the Syrian-Russian air power in the area was synchronized with reports about deployment of a high number of Hezbollah and Harakat Hezbollah al-Nujaba and Iranian Islamic Revolutionary Guard Corps fighters for an operation in the area of Hader and Qarassi. Mass graves of torture victims have been uncovered in the Syrian city of Aleppo, the Russian Defense Ministry announced on December 26. Russian engineers are working to demine the city. Earlier reports appeared that government forces seized large stocks of ammunition and weapons in the liberated parts of Aleppo: missiles, mortar shells, assault rifles, various kind of munitions and humanitarian aid. Tensions among various militant factions on more time erupted in the province of Idlib where Jabhat Fatah al-Sham raided houses and arrested a number of Liwa Suqur al-Jabal militants that had returned to Idlib after participation in the Turkey-led Operation Euphrates Shield in northern Aleppo. 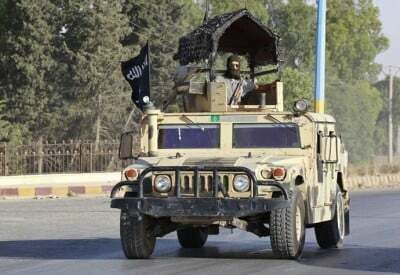 The event took place in Kansafra and followed sporadic reports that Liwa Suqur al-Jabal had been redeploying fighters to Idlib to oppose the expected government offensive in the area. Kurdish YPG forces have been continuing to develop the momentum against ISIS in the province of Raqqah. The YPG is working to secure the area north of the Tabqa Dam, controlled by ISIS. When it’s done, Kurdish forces will likely attempt to retake this strategic site from the terrorist group. Especially heavy clashes are now ongoing in the area of Jabar. A high number of militants has laid down arms and joined the reconciliation process with the Syrian government in the province of Daraa. The event took place in the government-held town of al-Sanamyen north of the provincial capital. The total numbers of Free Syrian Army members that had laid their arms and took the amnesty were estimated from 150 to 250. Local sources argue that this was a prelude to a wider reconciliation agreement in the province that will allow government forces to set control over all parts over the city of Daraa.